A photo of new things! After an incredibly stressful day at work just worrying, I found my house keys (which I lost yesterday) so I’m a much happier Steph. 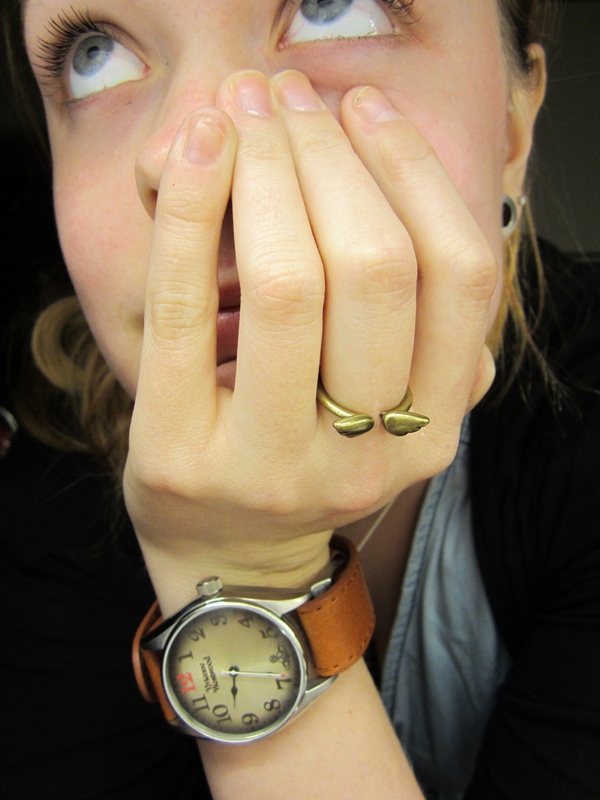 A smiley photo of me with my 21st Vivienne Westwood birthday watch, new tunnel, and wing ring I got today in the post! Loving jewellery buying at the moment!